Upon receiving the bag, it has a pretty strong plastic scent (beach ball, to my nose)but it's pretty thick/strong plastic that should hold up really well. 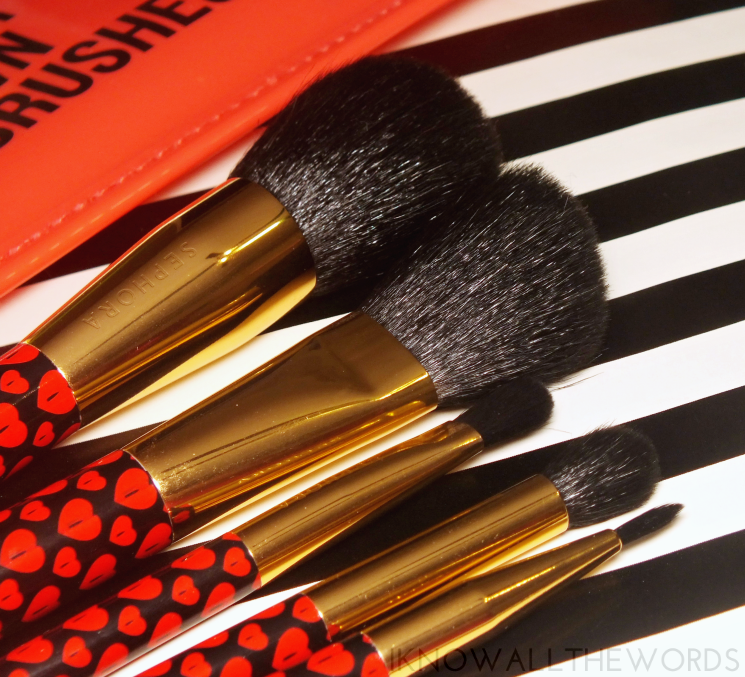 The brushes are undoubtedly adorable! 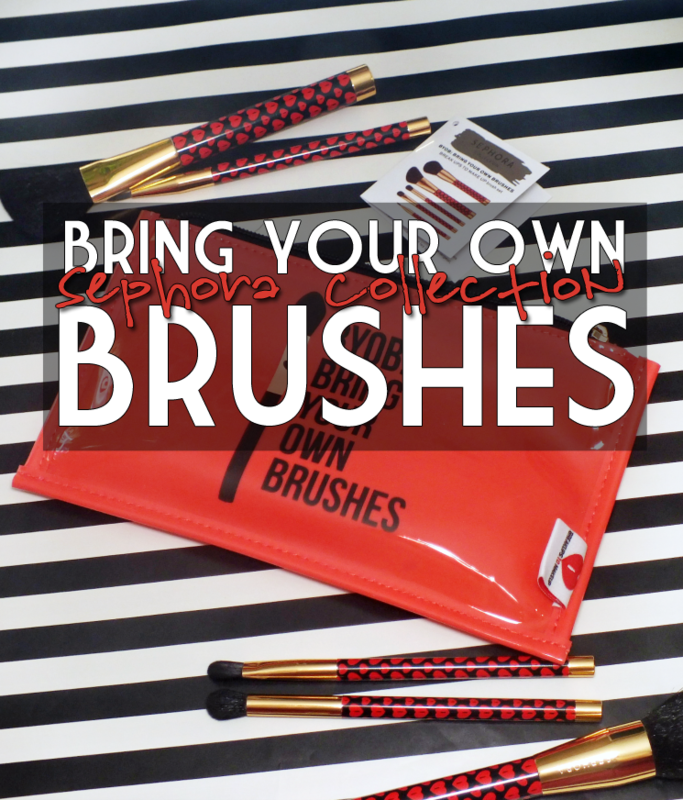 The black brush handles are capped in gold, with gold ferrules, and black bristles. 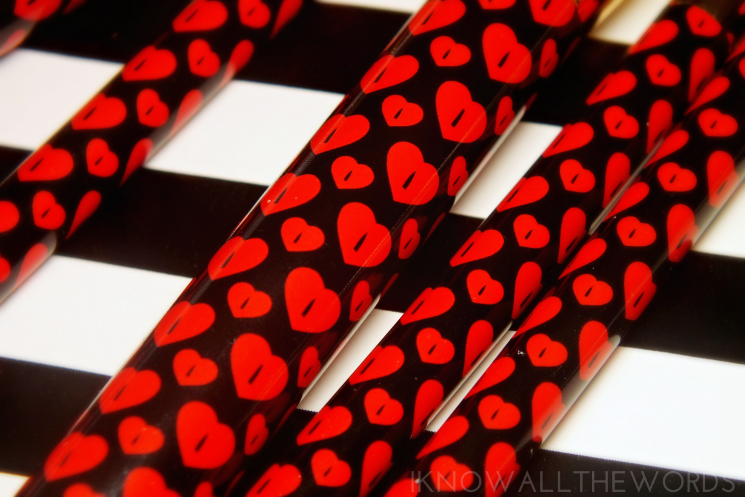 The handles feature the signature Breakups to Makeup logo- a red heart with a black lipstick silhouette in the centre. While the handles look great, the ultra shiny black brushes had me worried (aka they looked cheap) but after testing them out, they're not too shabby. I had a little bit of shedding from the two largest brushes (about 4-5 hairs each) but it's since stopped. 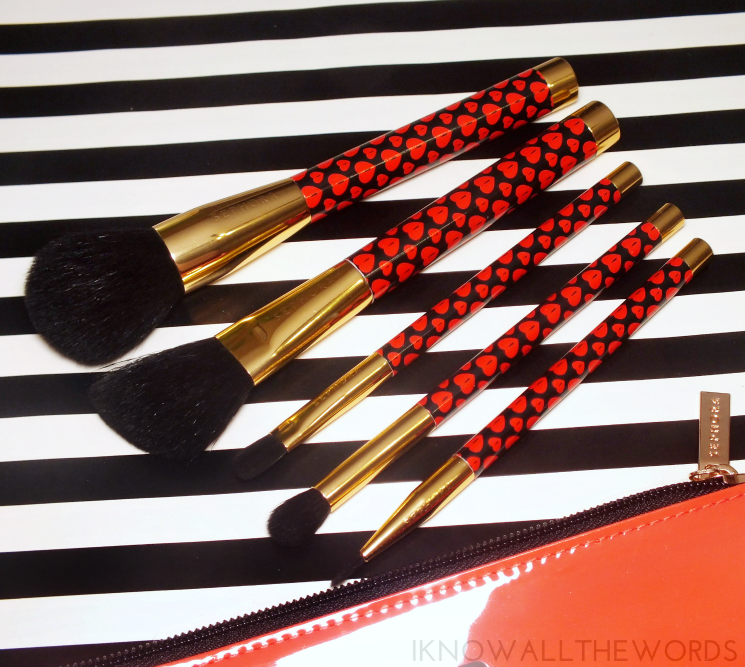 I found the brushes to work well,in that they picked up and distributed product with ease and are really soft to the touch. Ultimately, this is a really cute set (could I use that word a few more times?) but s totally overpriced. 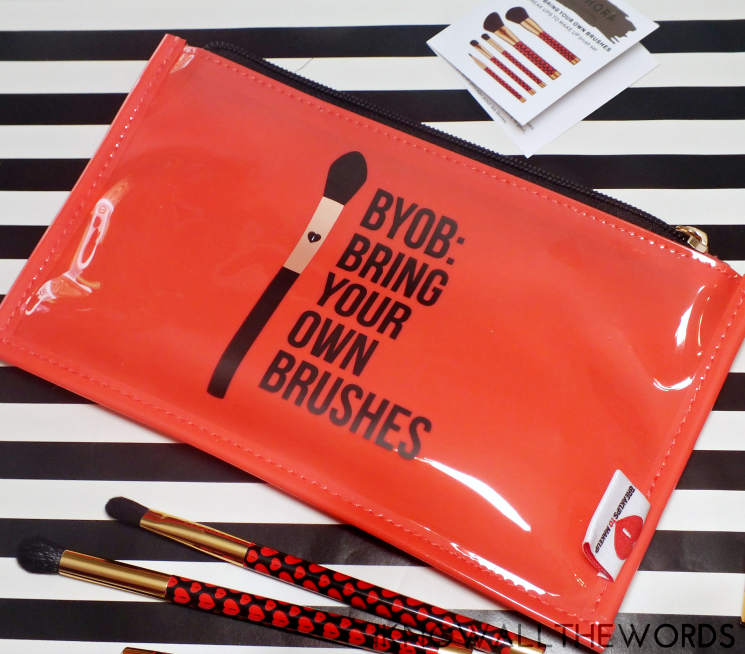 The brushes are of decent quality, and the bag is cute- it has enough room to get a few products in with the brushes- but it's just not what I expect at this price-point. Sorry, Sephora. What do you think? Would you shell out that much on this set?